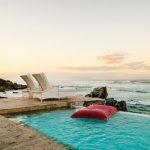 THE ULTIMATE BEACH HOUSE A CHIC AND INTIMATE COASTAL EXPERIENCE IN THE SUNNY, SEASIDE TOWN OF HERMANUS. Birkenhead House sets the standard for luxury hotels in Hermanus. 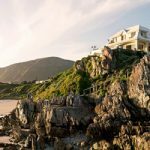 With its exhilarating cliff-top position overlooking the whale watching paradise of Walker Bay, Birkenhead House provides luxury accommodation for those seeking an extraordinary coastal experience. Watch surfers carving through the waves and, for several months each year, witness Southern Right and Humpback Whales breaching just metres from the shore. The hotel’s contemporary décor is an artful mix of beach-house and quirky opulence. 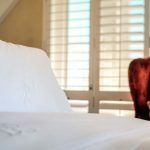 While Birkenhead House is a five star hotel with all the services and amenities that you would expect, the hotel is characterised by a laid back and easy-going atmosphere. Whether you are seeking a rejuvenating retreat or an adventure filled beach holiday, Birkenhead House is the ideal destination. The all-inclusive rate means that guests never need to leave the comfort of Birkenhead House, where all meals and drinks are included. For the more adventurous, Hermanus offers activities aplenty including whale watching, shark cage diving, golf, horse riding on the beach, hiking, surfing, mussel picking and even wine tasting. The Hemel-en-Aarde Valley is just a short drive away and is one of South Africa’s premier wine routes specialising in cool climate Pinot Noirs, Chardonnays and Sauvignon Blancs. The 11 rooms at Birkenhead House are individually decorated by the stylish wand of owner Liz Biden. The rooms are located in three different houses which make up Birkenhead House. Please note that while we will do our best to accommodate your room preference we can only guarantee a room category and not a specific room. 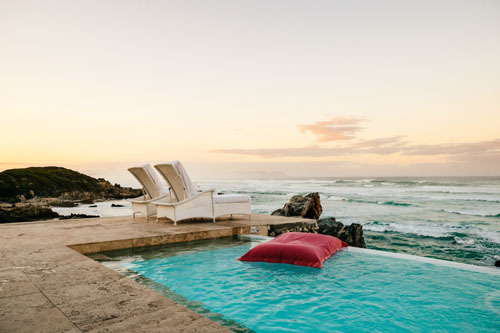 Birkenhead House is in the seaside town of Hermanus and is surrounded by sea, pristine beaches and towering mountains. Whether you’re in the mood for more gentle pursuits like a wine tasting on the main deck, or for a thrilling encounter with Great White Sharks, there is something for everyone at Birkenhead House.